Reading books are also a way of feeding our minds and imagination. Like what people say “Books can take you places, times and other dimension. Reading is also a way to relax and exercise your mind. No wonder why there are a lot of people who loves reading. It’s like if you afford to visit another place then read a book about the place. If you don’t know how to cook then read a book about cooking. If you are looking for a gift for a friend who loves reading then this is the right page for you to look at. Here are some awesome gift suggestions that a book lover will love to have. Check out these cool ideas. This gift idea is good for the whole year of good reading. It is a gift that will last for twelve months giving the recipient a long year subscription of a magazine designed for book lovers. It is like a guide of great books that they can read. It also contains interviews and profiles of authors and updates of new books to be released. They will never be left out of the newest books out in the market. 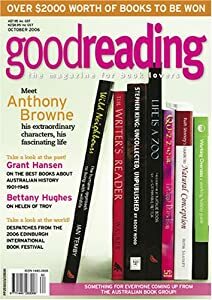 It has a lot of things in stored in this magazine like intriguing book facts, reviews of different books and novels, author’s biography, history and a lot more. This is the best gift for your friend who can’t let go of reading books. A gift idea perfect for hiding small and expensive stuff is such a very smart present to give. This present looks so deceiving. It looks like two random hardcovered books but hallowed out for storage. It blends just right into the collection of books you have in your bookshelf. It is somewhere important things can be kept like money, jewelry or your USB with your secrets in it! This important stuff can be taken by someone so better keep it this awesome item can deceive others and will hide your stuff in plain sight. No one can notice that this gift item is hallowed inside. Fantastic disguise! This is absolutely a smart gift idea for any type of occasion. 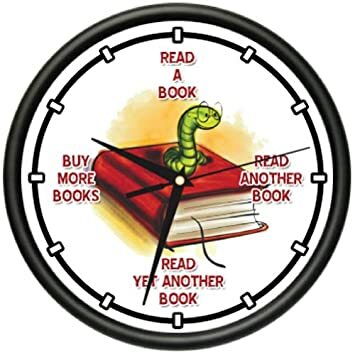 A wall clock made only for book reader. It works like a reminder when a book worm can read his next book. Actually I find it funny, every other 3 hours it has a reminder for you to read another book maybe because you are hooked reading a particular book. For a book worm reading is fun. It is way better than hiking or skiing. It is more adventurous than diving or any extreme sports. This is a 10” wall clock that uses a quartz movement for giving the precise time. This is absolutely a great gift for a book worm friend. Maybe remind the recipient to take his meal on time too! Reading will feed your mind not your stomach. A book reader has a lot of book collections. He or she might be running out of space for storing her beloved books. This gift idea provides storage without eating up too much space. An invisible bookshelf that is so awesome. It can hold up to 20 lbs of books. It is made of brushed aluminum and needs to be screwed directly onto the wall or stud. Once the books are placed on this aluminum shelf it will look invisible. The books will look like floating into the air. This also saves space because you do not need to eat up much of the area for another big book shelf. This is perfect so small units or flats. This gift idea is made of 100% cotton and everyone can wear it because it has a unisex design. Its pants have an elastic waistband with drawstring, pockets and extra feature is a functional button fly! This is a perfect gift for someone who loves to read. This may look like their reading attire. It is so comfortable to wear for a more relaxing reading. This has different sizes for convenient fitting. 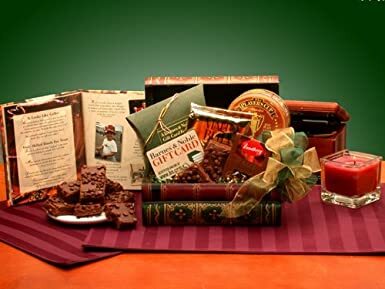 This is really a nice gift to give on any type of occasion. Finally! A mug specially styled for an avid book lover. This mug boldly displays most of the famous opening lines of some of the greatest works of literature ever created. 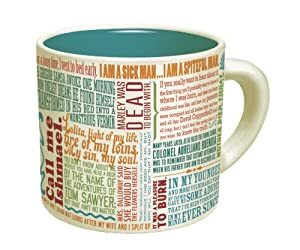 If you are really a book lover you must have read at least one of this or maybe all of what has been written on this ceramic mug. These opening lines printed all over the outer part of this lovely mug can be a good conversation starter. This is absolutely a wonderful gift for a person who loves reading. They will be enjoying a hot beverage while reading their favorite book. Isn’t it a nice view to see? If you are wishing for a bag with a big space for your stuff, well this is the bag you are looking for. It can hold a laptop up to 17” in size, tablets, mobile phones, folders and other stuff like your favorite book! It has a lot of pockets for certain things even for pens and small things you have. The chaos of organizing your things will now cease because of this wonderful bag. It has a very modest style and it is made of good quality materials. It has four compartments that are so convenient to use. This is an excellent gift for a book worm you know. It has a lot of space to cradle his stuff everyday including his favorite and loved book. This clip-on light is a perfect gift to give a book lover friend. It is perfect for his night reading. If you know someone who can’t let go of his or her book even at night or anywhere they are. This cool present also comes with a nifty UV pen. It feels like a detective sent for a special assignment and this special UV pen is what you have to use to send out secret codes and messages. It has a blue LCD light for much brighter and warmer ambiance. It is being power by 2 CR2 batteries included in this package. This is exactly what a book lover needs at home. Knowledge is power! Reading exercise your mind and make it strong. What is the use of a strong body if you have a weak mind? Feed from great books, learn more things and travel to places you had never seen yet. Reading is fun and exciting. Book lovers love book so much because of these things. Read and have fun!